A key assignment scheme is a protocol to assign encryption keys and some private information to a set of disjoint user classes in a system organized as a partially ordered hierarchy. 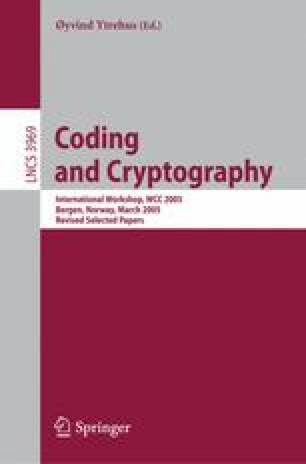 The encryption key enables each class to protect its data by means of a symmetric cryptosystem, whereas, the private information allows each class to compute the keys assigned to classes lower down in the hierarchy. In this paper we consider a particular kind of a hierarchy: the complete rooted tree hierarchy. We propose a key assignment scheme which is not based on unproven specific computational assumptions and that guarantees security against an adversary controlling a coalition of classes of a certain size. Moreover, the proposed scheme is optimal both with respect to the size of the information kept secret by each class and with respect to the randomness needed to set up the scheme.